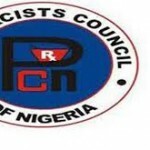 The Pharmacists Council of Nigeria (PCN) says it has developed a strategic plan to equip Community Pharmacists (CPs) and Patent and Proprietary Medicines Vendors (PPMVs) for reducing maternal and child mortality rates in Nigeria. The Registrar of the council, Mr Elijah Mohammed, disclosed this on Tuesday in Abuja at the “finalisation meeting” of its three-year strategic plan. Mr Mohammed said the plan would enable the CPs and PPMVs to provide quality services on family planning, management of childhood Pneumonia, Diarrhoea, Malaria and others to Nigerians. He added that it would also ensure reduction of mortality rate associated with these diseases. According to him, the strategic plan was developed in collaboration with the Pharmaceutical Society of Nigeria-Partnership for Advocacy in Child and Family Health @Scale Project (PSN-PACFAH@SCALE). He explained that it would address 196,420 annual deaths of under- five children due to pneumonia and diarrhoea, including daily death of over 111 women and girls from pregnancies and childbirth related complications. 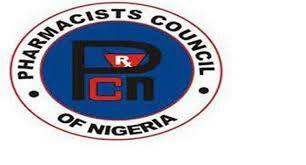 He said the plan was in line with the commitment made by Nigerian government during the July 2017 FP2020 London Summit that CPs and PPMVs would be allowed to provide expanded quality PHC services. He commended participants for their support to finalise the plan and described it as the best time for PCN in line with its mandate of strengthening the practice of CPs and PPMVs. He emphasised the need for all stakeholders to work together to ameliorate the unacceptable health indices in the country. Contributing, Senior Programme Officer of PSN-PACFAH@Scale, Dr Edwin Akpotor said Nigeria had been projected to be third populated country by 2050, due to failure of adopting child bearing measures. Akpotor added that about 50 per cent of adolescent girls were already mothers before aged 20, adding that lack of proper demographic planning and strategies could lead to economic and social challenges. “Nigeria contributes 15 per cent of global maternal deaths, with about 111 women and girls dying daily due to preventable pregnancies and child birth related complications. “Overpopulation and high maternal mortality will prevent Nigeria from reaping the dividends of demographic transition. “According to the United Nations Foundation, in the past 50 years, no country has emerged from poverty or achieved economic growth and prosperity without expanding access to modern contraceptive,” Akpotor said. On her part, Mrs. Beauty Okologo, Deputy Director Food & Drugs Services Department of the Federal Ministry of Health lauded the PSN-PACFaH@Scale project for supporting PCN to develop the plan. Okologo noted that when fully implemented, the plan would have built the capacities of CPs and PPMVs to provide quality primary health care services to Nigerians.